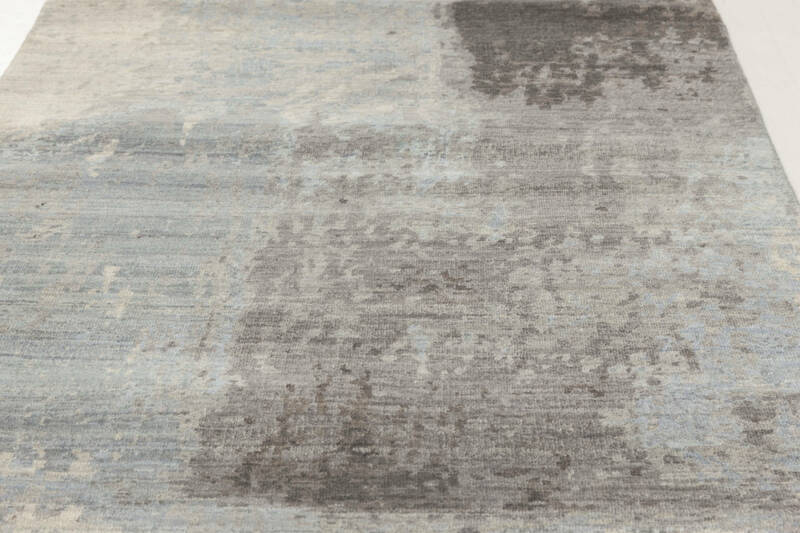 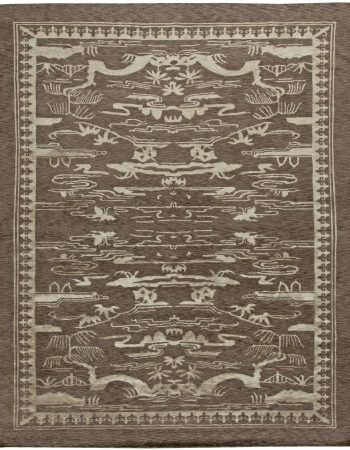 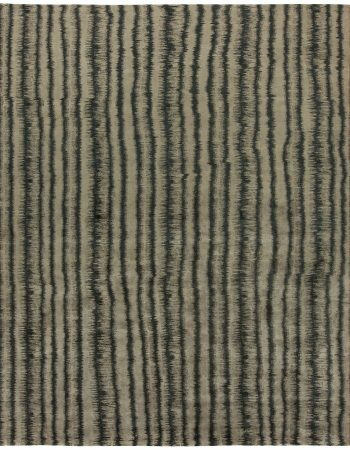 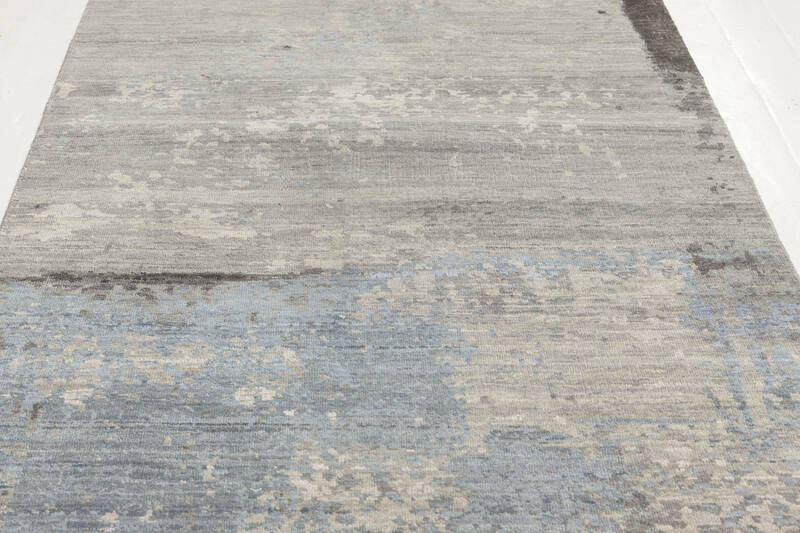 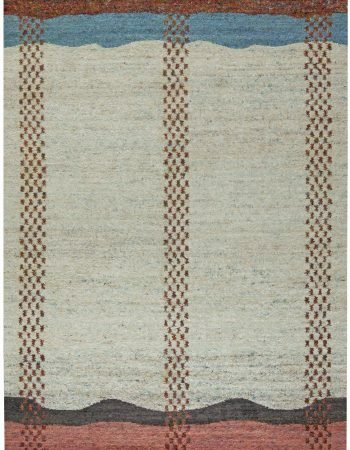 This modern runner shows that the core of great design lies in simplicity and refined workmanship. 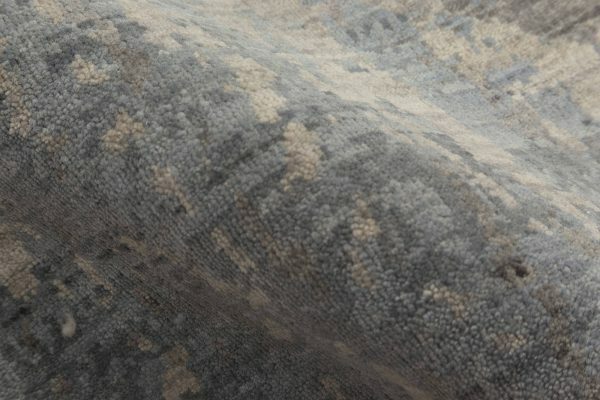 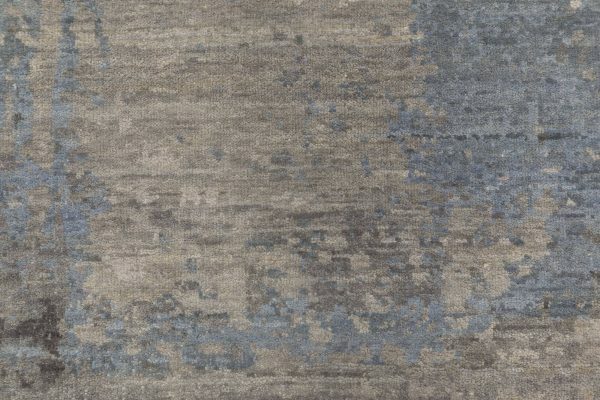 Its long body was carefully hand-knotted of the finest materials in accordance with traditional methods to ensure durability and uniqueness. 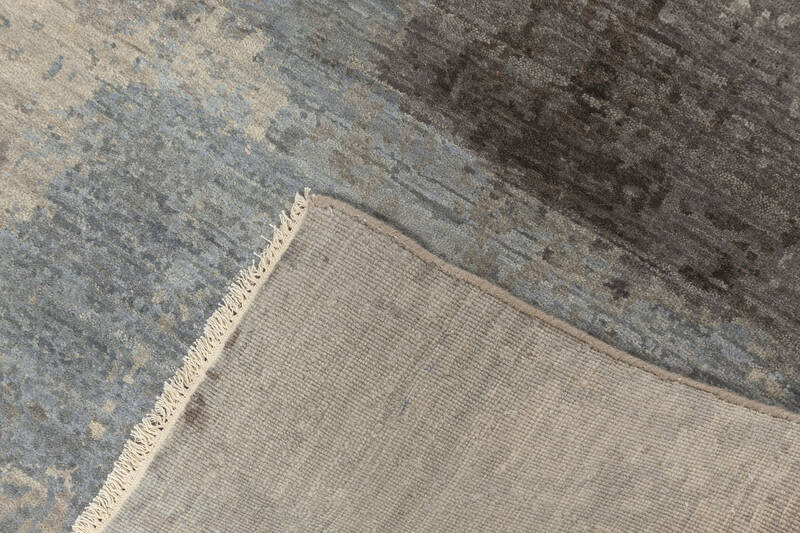 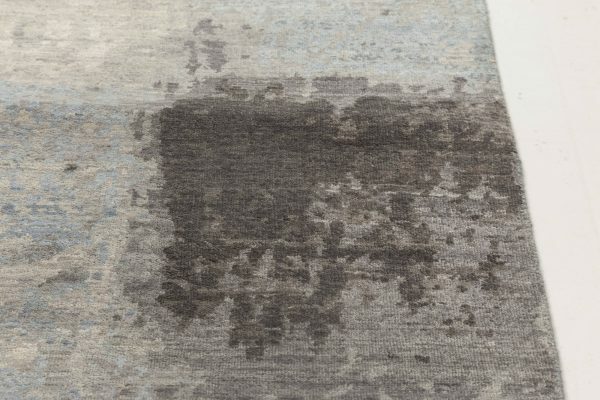 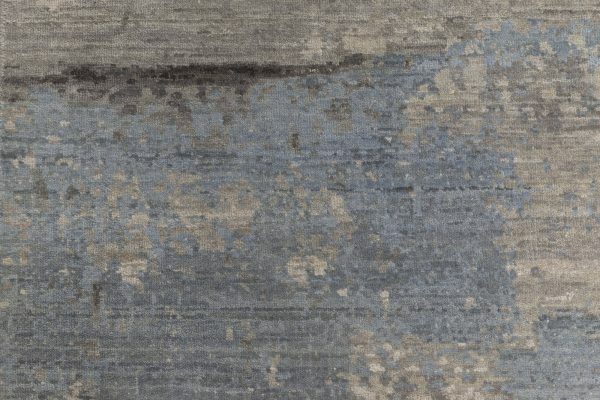 If properly maintained, the custom rug will serve its owners for generations without any signs of blemish, adorning staircases, corridors or transitional rooms. 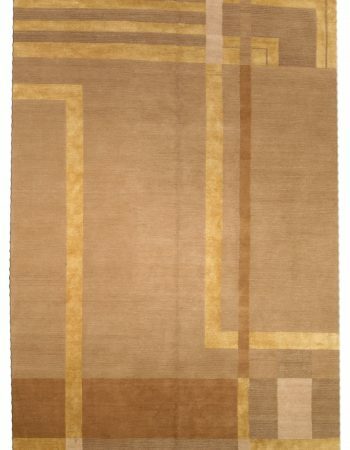 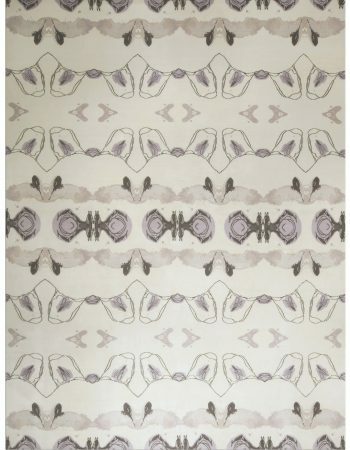 The abstract design builds upon the play between serene colors, resembling an oil painting. Delicate tones of beige, off-white and blue are invigorated thanks to a couple of “brush strokes” in slate gray. 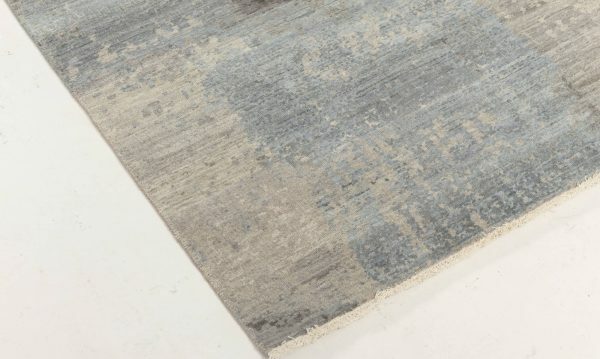 Everything creates an incredibly balanced, elegant and versatile composition that will easily match any kind of interior arrangement, bringing in its delicate charm.